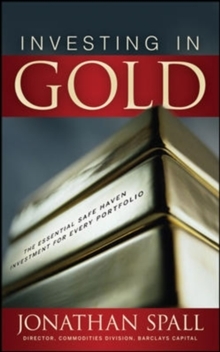 Can you afford not to buy gold?As many investors know, gold is a "safe-haven" asset that can actually increase in value during stock market slides and times of recession. But what else do you really know about this commodity? Are you taking full advantage of it? 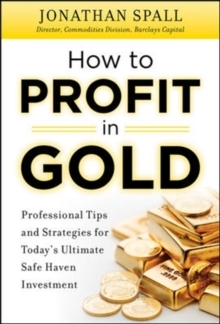 Do you know how to work it into your overall investment strategy?This detailed tutorial provides you with a comprehensive understanding of gold, from mine to market. Jonathan Spall, a 25-year veteran of the metals market, explains everything you'll need to know for making gold a profitable part of your investment strategy. 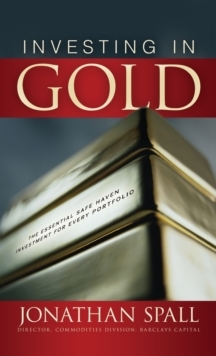 Investing in Gold gives you an inside look at how the precious metal is mined, refined, traded, and priced, along with valuable insight into gold's unique position in the marketplace. Spall explores such topics as: Simple and complex gold trading processesThe pivotal role central banks play in the gold marketGold exchange traded funds (ETFs)How spot gold is tradedWhy gold mining companies have traditionally hedged and why they no longer do soStrategies for investing in the retail marketSpall provides an extensive glossary of terms you'll need to know, and he debunks various myths regarding this market, including the Fed's supposed scheme to keep gold prices artificially low during the 1990s. The effects of global economic growth, the weakened dollar, the credit crunch, and the recent creation of enormous funds each affect the gold market; put them together and they add up to potential profits gold investors have never before dreamed of. Gold is a surprisingly small market. When you learn how to navigate it, the potential for excellent rewards becomes evident.